Perfect time to play golf in Koh Samui Thailand. Loved the story regarding Gary Player playing the course and shooting 5 under par..
Great golf course average condition after the prolonged low season but would love to try again another time when we visit again. ThanksSamuigolf team….. Thanks for the advanced warning so we could tee off earlier and beat the storm. Great service Greg hope to be back next year. We appreciate the organization for our group and would love to returnagain in the near future. Santiburi was everything we expected and more, the setting positioned on the side of a mountain and views were amazing of the Gulf of Thailand. Pick up driver was on time the arrangements for getting us back to the hotel ran smoothly. The boys had a great time at Royal Samui, just the kind of place, relaxed, no strict dress code for our group. Thanks Greg for organizing the rental equipment we needed. See you next year Jay. Excellent track plenty of twists and turns, caddies were super, very knowledgeable and polite. Overall 10/10 days golf. We are already making arrangements to return later this year. We thoroughly enjoyed Santiburi , but you have convinced us to combine Phuket as well in our next trip. Great service and cant wait to get back!! Just a quick mention as regards to our family golf tour to Samui Greg organized last week. Thanks again for all the hard work and on time pick ups from all of us. Also for pointing out all the do’s and dont’s saving us much time. We’ve played some pretty good golf courses all over the planet, but I would rate this one in the top ten. The greens weren’t the quickest, but I never really got to grip’s with the slopes, so that was probably an advantage. Make sure if you come to this Island you play this course. All the best guys and thanks for the hard work, making our trip so enjoyable. Never played with caddies before, wouldn’t like to play without them again, they were fantastic, they made our day and were great fun to play with. Santiburi what a tough course but a great challenge, thanks again for all your hard work and organization, See you next time!! Just returned home from our Trip, I would like to thank Greg & his wife Rattana for making this trip a special very one. 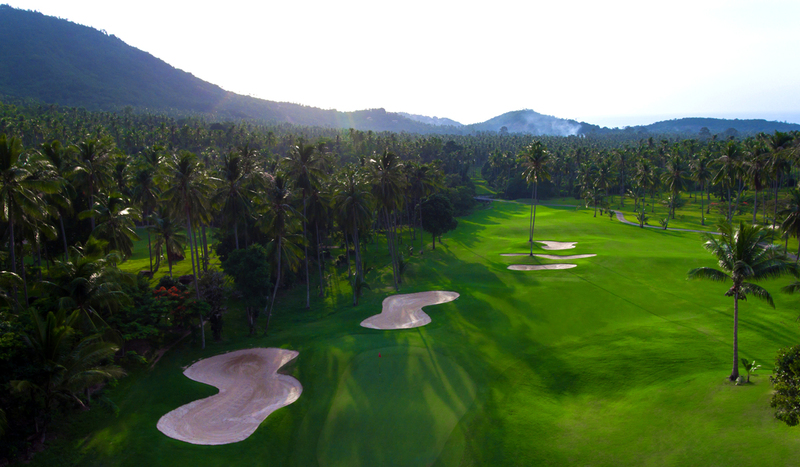 Not only was Santiburi a great golf course , we totally fell in Love with Koh Samui island and look forward to returning next year. Greg, AP and I had a great time in Koh Samui. We enjoyed the attention to detail and follow through on the golf. We also appreciated you going the extra mile to help setup the family boating afternoon. Best of luck with the business and your new golf venture in Phuket. Hi Greg, Thankyou for your professional service, Rattana our driver was very careful and helped us relax on our first trip to Thailand. Will definitely be back in the near future. I would just like to thank you for organising such a memorable occasion, the golf game was probably the highlight of my stay, despite my score.Thanks for looking after us, your service was excellent. Thank you Greg for for making our golfing week in Koh Samui an enjoyable one. Santiburi was in fantastic condition and we enjoyed every game we played. We hope to return next year and look forward to using your golf service again. You were right about the fairways at Royal Samui, they really have got a water shortage problem. The greens were good and the views were just spectacular so we were fairly satisfied. Again thanks for efforts. Our group would like to thank Greg and Rattana for all their hard work. From our first contact through email and organization of day we couldn’t fault a thing. What a golf course! Rather hot at this time of the year, but still enjoyed the game.Was lucky to have a caddy with a great personality, thanks to everyone. Wonderful day and great experience. After experiencing Red Mountain and Santiburi Samui Country Club I have to say Santiburi just edged it. Both fantastic courses but the views at Santiburi were just spectacular!! Great golf! Great Weather ! Great service! much appreciated for the tip on Friday night Fisherman village walking Street. Sounds interesting the conversation we had on the possibility of a new airport being built on Koh Samui or nearby. Maybe more golf courses will come in the future! We look are looking forward next year to play golf in Ko Samui. Thanks for the great service, see you again one day. Loved Koh Samui, even though theres only one 18 hole golf course i was so impressed with Santiburi Samui Country Club. We would like to thank you again Greg for dealing with our Stag group. Royal Samui was a fantastic choice for our large party and we thoroughly enjoyed the day. Thanks again to Pong the manager who was able to keep us under some sort of control! Really pleased with our short break to Koh Samui. 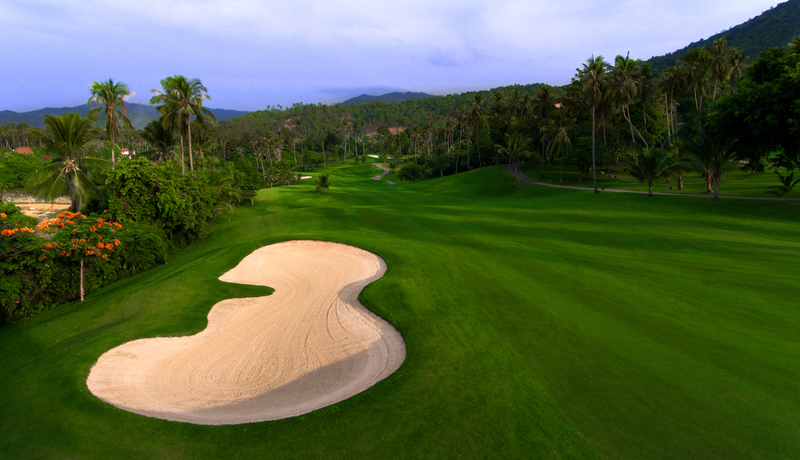 We will be recommending Santiburi Samui Country CLub to our local golf club. Our first trip to Koh Samui was fantastic. Thanks Greg for organising everything and special thanks to Rattana for help in changing our return flights. Hopefully we will be back later in the year. We were a little disappointed with the weather in Koh Samui this year, but again Santiburi Samui Country Club lived up to our expectations. 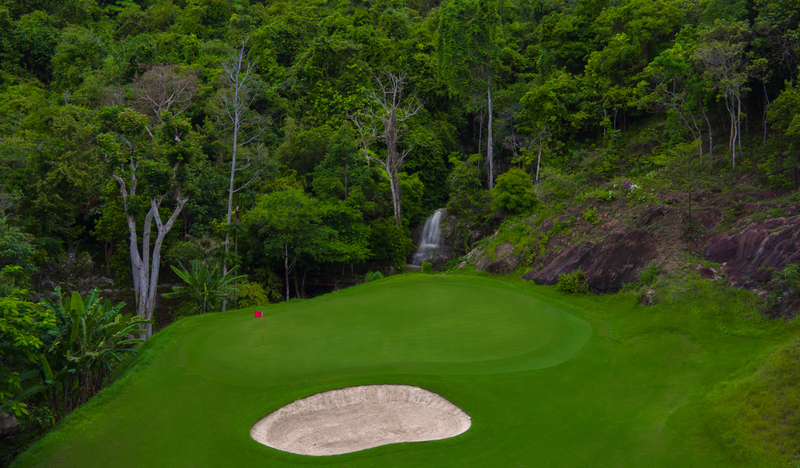 We were glad to see Royal Samui in better condition after experiencing rain damage earlier in the year. Again Greg you were correct with your weather predictions. Santiburi golf course was so impressive, totally different to our local course in the Uk. We really need to practice our up & down hill lies, our local course in England is very flat which reflected on both our scores. The windy conditions really made this course play longer. The golf course was very well maintained and the view from the club house was amazing. My husband and I can only thank you again for your service and we are eager to experience the golf tour to Rajjaprapha. My wife and i would like to thank you for all your organisation of transfers and golf arrangements. Santiburi was indeed a great challenge and was in excellent condition. Royal Samui was extremely difficult, but we throughly enjoyed the 9 hole course. The views were fantastic, the greens in very good condition, the fairways in need of water, but we are glad we experienced it. 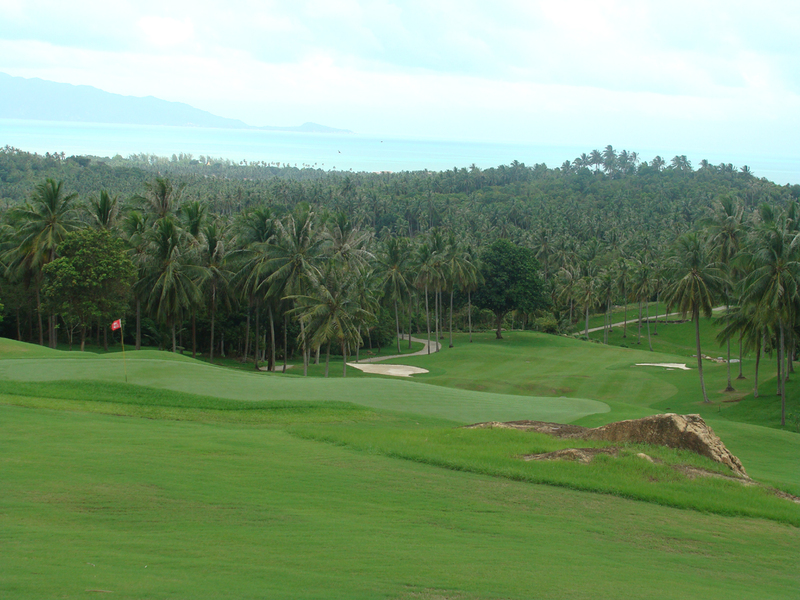 It was an excellent decision to come to Koh Samui and play your magnificent golf course. We will return im sure next year and look forward to meeting you again. Thanks for all your help, advice on our Samui vacation. My husband and I really enjoyed watching the Asian tour final round. We agreed that Koh Samui was a fantastic choice and hope to return in the future. Say thanks again to Jom we really thought we were going to miss our return flight home. Next time my wife will check the flight tickets! Thanks for all your efforts, we really enjoyed our holiday in Ko Samui. Enjoyed Santiburi what a fantastic golf course. The view from the restaurant terrace was breathtaking. Royal Samui 9 hole was a fun course to play, I didn’t realise the views were absolutely spectacular. Thanks again Greg for organising our golf tour. Your driver was on time and very friendly. I will be recommending your service to the guys in the office. Say thanks to Ian for his tour recommendations. Thanks again to Koh Samui Golf Holidays for a great weekend. The package was excellent, Golf Courses were exceptional, Hotel you mentioned we actually booked and was perfect.I thoroughly enjoyed our weekend and will be recommending your company to the guys in Singapore. Greg.It was pleasure to deal with you, thanks again for the professional friendly service. 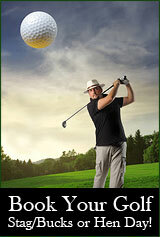 I would never think of using any other company for our golf tours to Koh Samui. 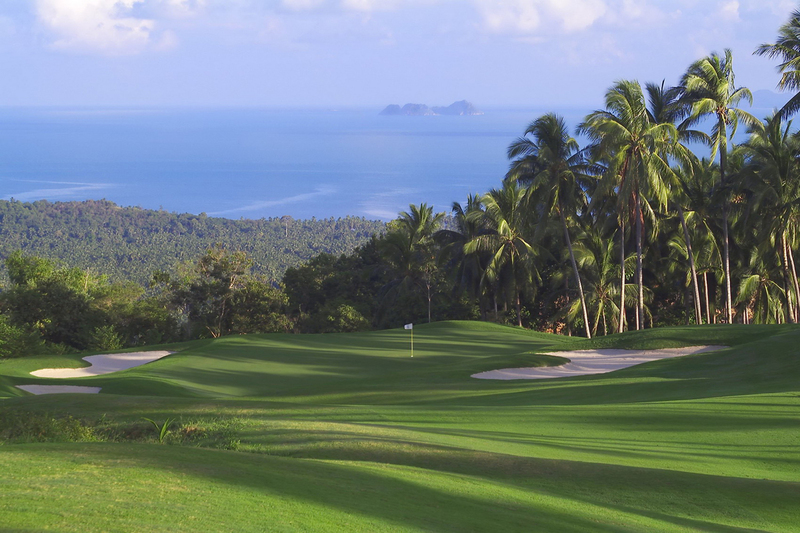 Hi Greg found your 2 Day trip to the Golf course Rajjaprabha on the mainland fantastic.I have spoken to our golf society and we are eager to try the 7 day 6 night package combination of Koh Samui and Rajjaprabha in August. Tell everyone thankyou for their support on our golf holiday. The drivers were on time and knowledgeable of the area, and very helpful.The Villa accommodation were 6 star, Santiburi Golf Course was fantastic, Royal Samui golf course was fun to play.I will recommend you to our local golf Society. Greg . Thank you very much for all your hard work. Golf and transportation and tour bookings were fantastic Khun Na was great very polite and helpful. Santiburi was tough but really enjoyable. The rental equipment you organized for us was excellent. We will be back! 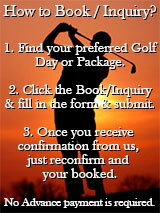 Many thanks for organising our Golf bookings during our trip to Samui. Much appreciated. Really enjoyed Santiburi golf course it was such a challenge. We will definitely be returning to Koh Samui next year with other golfing friends. Thanks again Greg for organising not only the golf to Santiburi but the island tours. Thankyou for your swift response in returning our first email. Your companies transport service to the golf course was excellent. 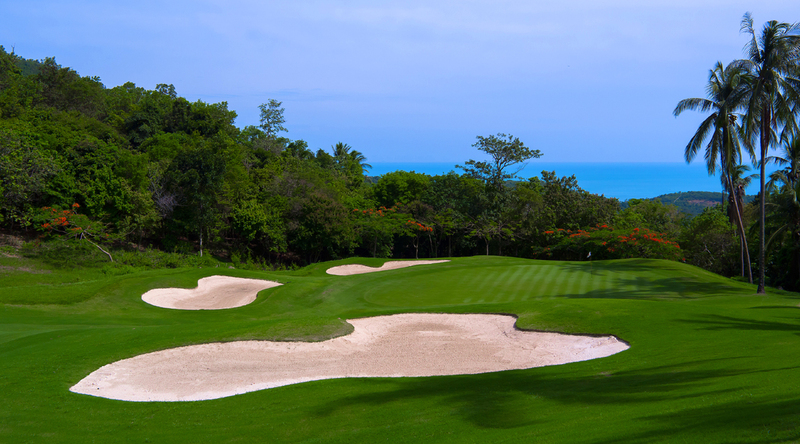 As for Santiburi Samui golf course, probably in the top 5 golf courses in Thailand. We only live a short distance away and will be returning on our next holiday. Last year we visited Koh Samui without playing golf. This year we made sure we brought our golf clubs and what an experience definitely worth every penny, Thanks again Greg for all the advice we really enjoyed our holiday. We are extremely grateful for organizing our groups stay in Koh Samui this year. Thanks for the great service and organizing the discounted green fee. We hope to visit Samui again in the near very future. When we were organizing our golf holiday to Koh Samui my wife and I were not keen on the thought of compulsory caddies on our round of golf at Santiburi. But when we realised what fun they were and how they helped us to read the greens we couldn’t of played 18 holes and enjoyed it without them. So thanks again to Pim & Nong. Fantastic 3 days golfing at Santiburi Samui Country Club, we appreciate all the work from your company. This was a memorable holiday and golfing lesson! Thanks for organizing our rental golf equipment. We didn’t really want to travel 12 hours with to much baggage. The golf sets provided really helped us to enjoy our golf day. The Villa organized for our stay in Samui was fantastic. What a beautiful island! Thank god for golf carts it would be impossible to walk! Regards Janet. We really appreciate the effort made by your company to organize our group. Santiburi not easy but money well spent. The sea Safari boat trip to Anthong Marine National Park was very enjoyable. It was the first time we had ever experienced Thai boxing in Thailand, the Petchbuncha Boxing Stadium was excellent. My wife and i would like to thankyou for making our first holiday to Thailand a memorable one. Santiburi was a dream golf course to play compared to our local course in the Uk. While we were playing golf you were able to organise tours and activities for our friends. Very well appreciated. Thanks for organizing our starter golf instruction .package. Robin the local golf instructor really made me feel relaxed when explaining to me the set up and first swing motions in golf. I am now continuing to take golf lessons in Demark and hope in the next few months to get my green card. Santiburi golf course is a little on the expensive side but definitely worth every penny. I will be returning one day hopefully in the near future.